So I read about two new talents, sharpen and enlighten, however I have yet to see one. Are these like “event only” obtainable?? I’d actually like to know more about them. Does anyone have screen shots of them?? I meant Empower, not Enlighten. The talents are not event only. The crest versions are. Empower is significantly rarer than other talents, based on the very small number of people I've asked who have it. As for the talents, Empower is a strong talent, great on autoprocing heroes. Sharpen is crap. I bought a Shaman recently, and it came with 5/8 Sharpen. Best Empower I've seen is 2/8. 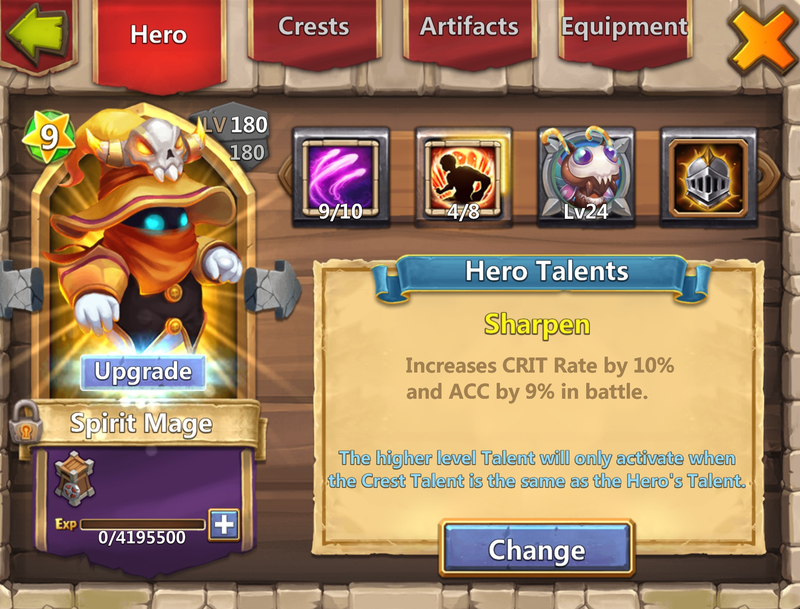 I got this on a quest to roll new talent.